As the Israeli operation Protective Edge has so far claimed over 1,000 dead, users have been flooding the web with dozens of photos of Jews and Arabs together showcasing peace and love, under the hashtag #JewsAndArabsRefuseToBeEnemies. 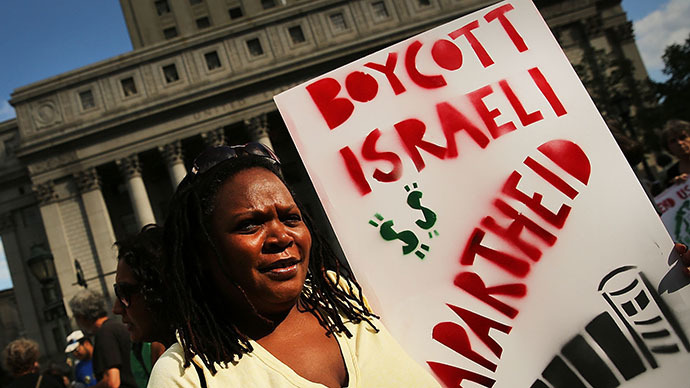 “For me, it is hard to watch the current escalation between Israel and Gaza from afar. I wanted to find a way to be more than a passenger, to do something about it rather than just watch the news and hope for the best,” Gutman told Christian Science monitor. 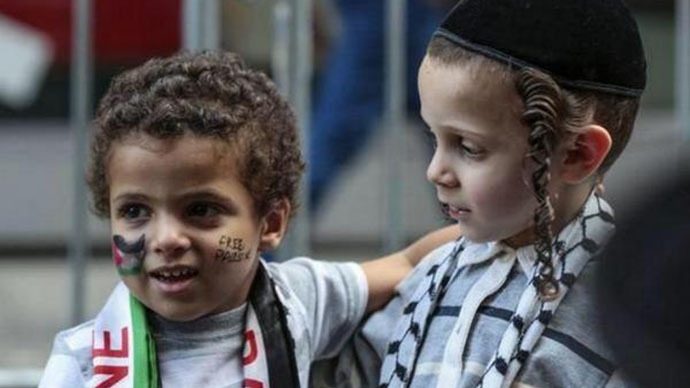 The hashtag #JewsAndArabsRefuseToBeEnemies soon became popular. One of the most viral pictures turned to be the one that showed a kissing couple - Lebanese journalist Sulome Anderson and her Orthodox Jewish boyfriend. “He calls me neshama, I call him habibi. Love doesn't speak the language of occupation,” wrote Sulome in her Twitter account. 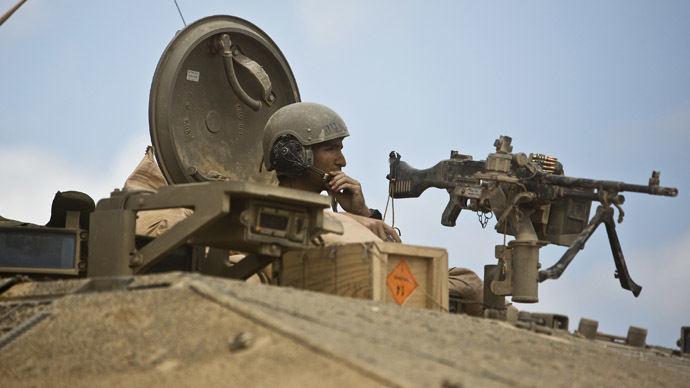 The ground operation in the Gaza Strip was launched by Tel Aviv on July 8, following more than a week of Hamas shelling Israel and the IDF responding with air strikes. Over 1,030 people, at least 40 Israeli troops among them, have died in the violence. 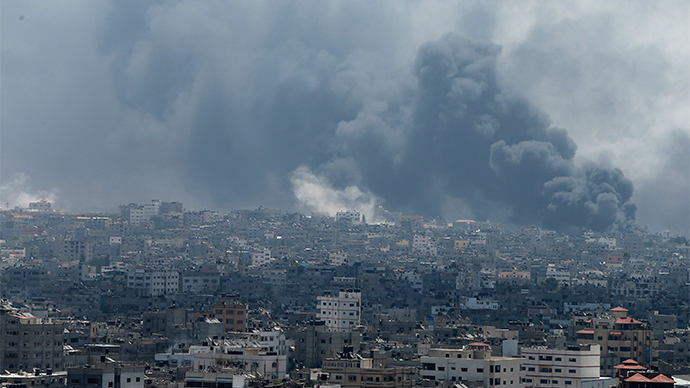 On Saturday, Israel and Hamas agreed to a 12-hour humanitarian ceasefire in the Gaza hostilities that started on Saturday morning. However, soon after the truce was announced, at least 60 bodies were recovered by rescue forces from buildings destroyed in Israeli strikes in Gaza, reported the Palestinian Authority's official radio station. Early on Saturday – shortly before the truce – rescue crews recovered a family of 18 Palestinians killed by Israeli tank shelling in the southern Gaza Strip, according to the Gaza health ministry. The victims were members of the Al-Najar family, who had been trapped inside their house in Khuzaa village east of Khan Younis since Thursday.